Lock in a great price for Staycity Aparthotels Gare de l’Est – rated 8.1 by recent guests! Very clean and very friendly and helpful staff. Very quiet location. The reception staff were the most friendly and helpful people ,nothing was too much trouble. The property was aa few minutes walk to the station and Metro..The kitchen facilities were good including all pans utensils cups glasses etc. We also had a hairdryer and ironing board with iron .The location is very quiet set back from the mail road. Quiet convenient location. Very friendly staff. Good sized room. Location is very convenient, we arrived into Gare de l’Est and departed from Gare du Nord and both are easy walking distance from this hotel even with children and luggage. Easy transport connections to anywhere in Paris. We actually got many places on foot. The room had everything we needed for the minimal time we spent there, we were able to prepare simple food, beds were comfortable. A baby crib was provided upon request. The staff were all very nice and helpful. There is a big playground at the park right near Gare de l’Est (Villemin) for those with kids, and a nice little canal to walk along. Lots of restaurant, cade, grocery store options around. The room had a kitchenette. We were able to cook breakfast. 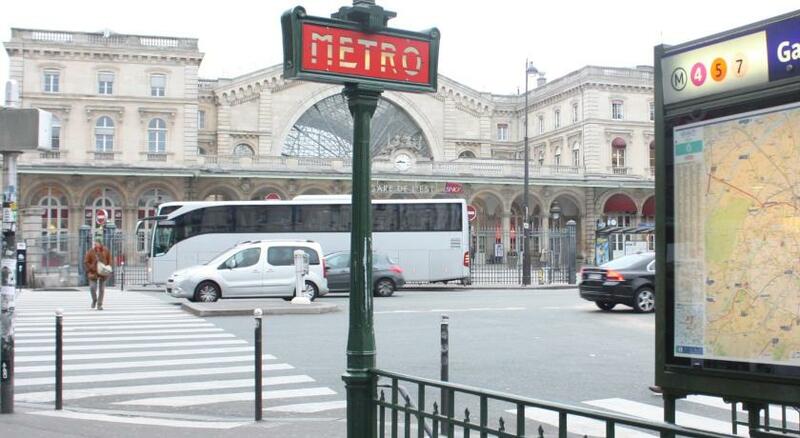 The hotel is also cery close to a metro station. Location is good for public transpotation especially bus, which i love it because i tried to avoid metro as i heard of pick pocket. Staff was always friendly and helpful. Location was very good. The street is not so bad as everyone on here is going on about by the way, its s city! Also very close to many buses and Canal St Martin, supermarkets etc. Teally nice to have a fridge in the room! The kitchen unit was well stocked with anything you needed to cook or prepare. 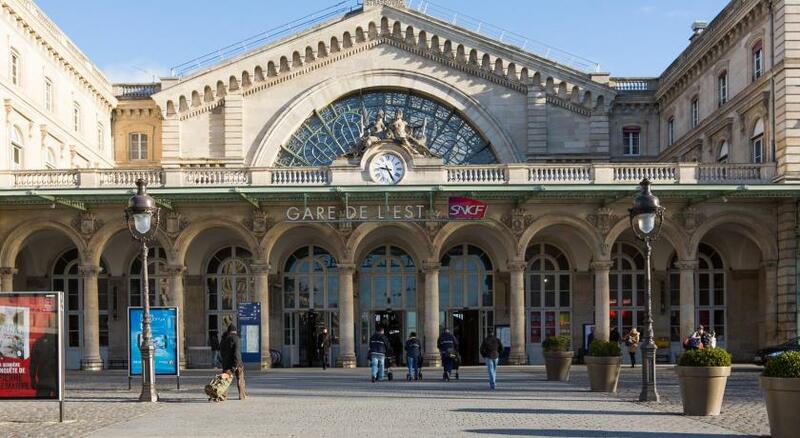 Just a 5-minute walk from Gare de l’Est, Staycity Serviced Apartments - Gare de l'Est offers free Wi-Fi access. 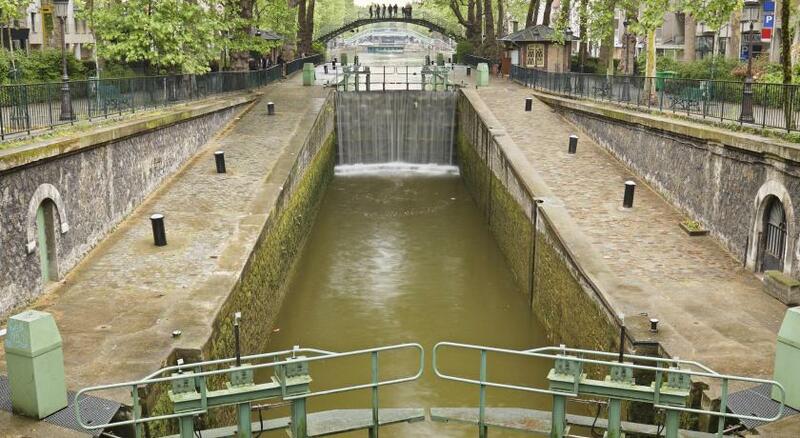 Guests can walk to the Canal Saint-Martin in 4 minutes and relax in the waterside cafés and restaurants. Decorated in turquoise and neutral tones, the apartments and studios at Staycity Serviced Apartments offer an LCD TV. Each one has a private bathroom and some have a separate bedroom. Guests can prepare meals in the accommodations’s kitchenettes, which feature hotplates and a microwave. The 24-hour reception sells drinks and snacks and can help with dinner reservations and show tickets. Private underground parking is possible on site. 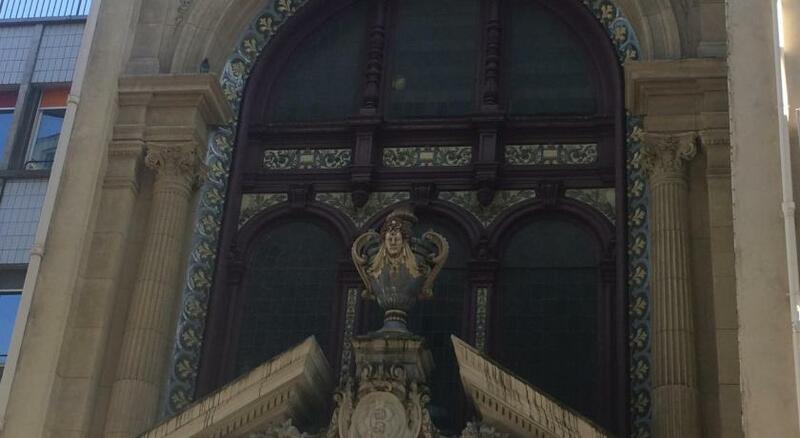 The lively République Square is 2,300 feet away. When would you like to stay at Staycity Aparthotels Gare de l’Est? This apartment features kitchenware, tea/coffee-making facilities and a kitchenette. A kitchenette and a sleeping alcove are featured in this apartment. At Staycity Paris we offer our guests a range of 50 apartments sleeping up to 4 persons. All of our apartment are high quality and a great alternative to a hotel for the business or leisure guest. The apartments are more spacious than a hotel room with the convenience of a kitchenette. Wheelchair accessible apartments are also available. Our Coffee Corner offer fresh Hot Beverages and Pastries and Continental Breakfast daily. Private secure underground parking is possible on site as well as a laundry service for an extra cost. We can keep your luggage when you check out for free for you to enjoy your last day in Paris! House Rules Staycity Aparthotels Gare de l’Est takes special requests – add in the next step! Staycity Aparthotels Gare de l’Est accepts these cards and reserves the right to temporarily hold an amount prior to arrival. Please note that guests are required to present a valid photo ID and the credit card used to make the booking upon check-in. For stays of 7 nights of more, a mid-stay clean is provided (including a change of bed linens and towels). Early check-in and late check-out are possible for an extra fee. Worse hotel I have ever been too. Rundown hallway, extremely small bathroom, the room had a small slanted window covered up. gloomy appointment. I am slim 5 11 and about 175Ib I could not sit properly on the toilet seat, the area was so small. The funny thing they send me a survey at 2:40 PM, when I click on it to take the survey at 2:50 it says the link is expired. The location was a bit edgy but I knew that when I booked it. Very convenient for us though as we came in by Eurostar. The room was huge - two of us and he put us in a family room so we had our own space which was brilliant. Wash basin to be bigger and lift to be provided. The room could do with being refreshed, the attachment to fix the shower-head to the wall was missing and the paintwork and tiling tired. The bed (two beds pushed together - one of my pet peeves) was serviceable. The location near Gare de L'Est is very convenient but the laneway leading to the property is not so easy to find (or salubrious). The staff were helpful and the room a decent size. Wifi worked well and the room was clean if a little run down. The kitchenette was well equipped and I appreciated the basket with packets of essentials like coffee, sugar and salt and pepper. The bathroom was very small. The shower did not work well. 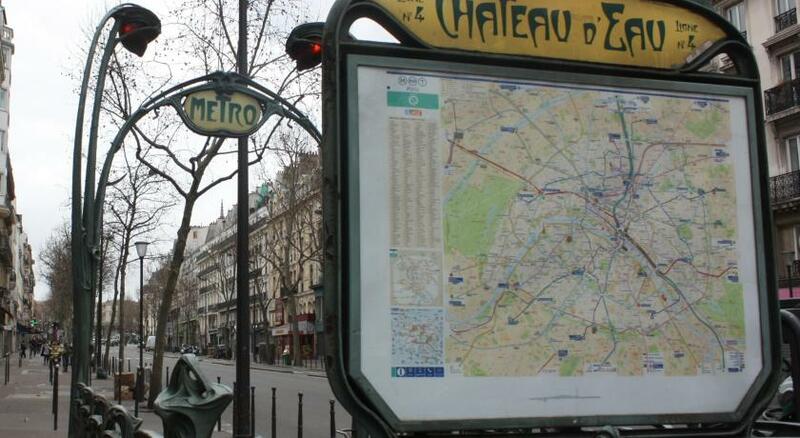 Great location about 5 mins to the Paris Gare D'lest station; front staff was friendly & helpful; apartment 1 -Room with kitchenette ; quite location on a side street; many restaurants & mini shopping marts around . The noise from reception in the ground floor room. It was also a little cold on the ground floor. I moved to the 4th on the last night and it was much warmer and quiet. The kitchen facilities were really handy. Central. Clean room with good facilities. Car park provided for small car. Very professional and welcoming staff. Breakfast ambiance was a bit disapointing as it is served in a small hall by the reception with just a couple of small tables with stalls. The breakfast itself was ok, with some bread and butter, croissants and pan au chocolate. There are also hot and cold drinks available. The room, despite being clean and comfy, would happily get a bit of TLC on the walls or the plastic floor, which clearly suffered a bit. Despite the cleaning is only once per week, as they are serviced apartments, we got complimentary the towels changed and a sweep around after the 2nd night( of 4). Thank you. The room was spacious well heated, well insulated and no noise from the street or other rooms could be heard, so good night sleep. There was a kitchenette with all what you would need to cook or to make a cup of tea or coffe, with a couple of complimentary ones. The room had also iron and iron table, hairdryer and TV, with all the French channels, I would think, no international ones though. The staff at reception were really kind and speak many languages. Harry, Antonie, Carlos, etc. all great. It is easy to get there from the stations and it is just off Magenta Av. Easy access 24h. Despite the cleaning is only once per week, as they are serviced apartments, we got complimentary the towels changed and a sweep around after the 2nd night( of 4). Thank you. Very fair to be Central Paris. The fridge was noisy during the night. The table was too big for the room. The studio on the 5th floor may not be appropriate for a tall couple. Staff were friendly and professional. Location was very good for our needs. Some of it's furniture is a bit old and dated. It was very basic. The bathroom had no extractor fan and the shower was poorly designed such that the floor was soaked when shower was used. The room was tidy but needed a bit of upkeep.